As we come into the Autumn season vata dosha can be disturbed. Autumn is a season of transition and change and is dry, rough, windy, and erratic, just like vata dosha. According to Ayurvedic medicine, like increases like, so it is a time of year that vata dosha can easily become imbalanced. Those with high vata dosha can easily start to feel anxious, nervous, spacey, confused, on edge, ungrounded, bloating, constipation, and have dry skin. 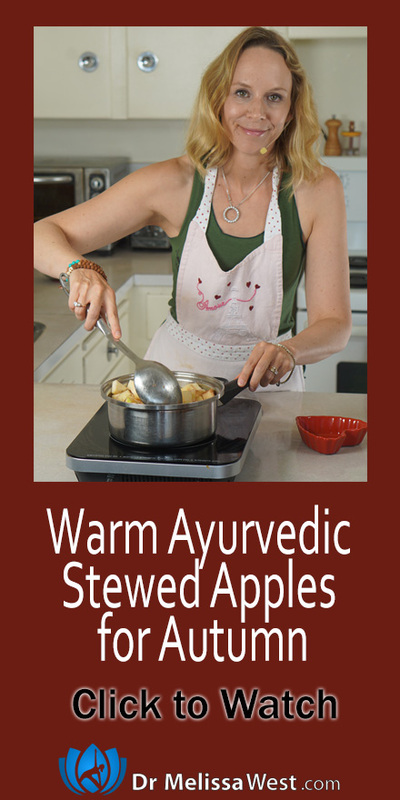 To balance vata dosha it is important to eat foods that are warming. 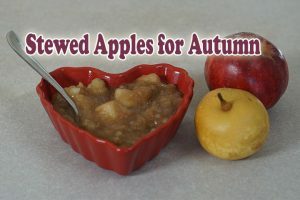 Today we are going to stew some apples in spices that are balancing for vata dosha this autumn. Clove – enhance circulation, digestion and metabolism and help counter stomach disorders such as gas, bloating and nausea. facilitate better absorption of nutrients and better elimination of wastes. What is your favourite way to keep vata balanced for the Autumn season?